Can time for up to 60 minutes. Features an old-fashioned yet simple to use spin-dial. Dial is embossed with raised lines and numbers for tactile identification by the blind. Loud, ringing bell sounds when the time elapses. Rubber feet keep it from sliding around on the counter. Measures about 4 in by 3-1/2 in by 3 in. If you're not a tech-minded cook, or would just appreciate a good, old-fashioned, basic, easy-to-use kitchen timer, this is it! Our one-hour tactile timer serves only one function - and that is to keep track of the time remaining for the bubbling pot of mac and cheese on the stove or the delicious-smelling birthday cake baking in the oven. You've seen them everywhere - and there's a good reason. 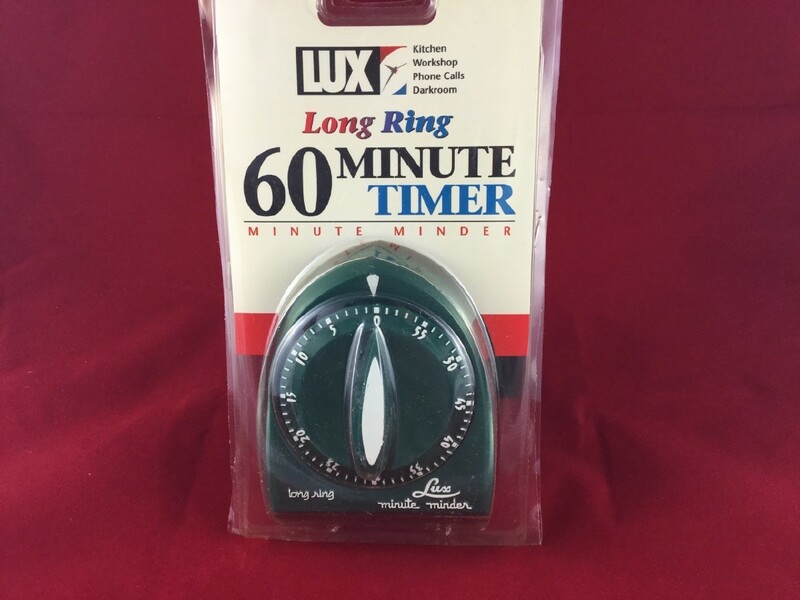 Our 60-minute Minute Minder timers have accurate spring-wound movements, a self-contained timing mechanism made of metal, and are housed in high-impact durable plastic cases. Although most often found in the kitchen, these timers are great for hundreds of uses, including barbecuing, homework, exercising, gardening, lawn-sprinkling, time-outs, appointments, and hair-coloring - not to mention coming in rather handy in the laundry room or workshop. 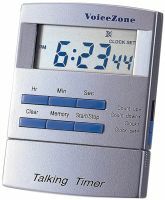 Setting the timer (or checking on how much time is left) is extremely straightforward, and requires no use of a feature-rich but complicated electronic device. You simply spin the dial until you're lined up on the desired increment of time, then leave the timer to tick away the seconds. When you're out of time, a loud, ringing bell alerts you that your attention is required ... And that's it! There are no batteries to change, no modes to get mixed up in, and nothing else to go wrong! Naturally, the rim of the dial is embossed with raised lines and numbers, making this timer totally usable by anyone who's blind or has low vision. Although the large, raised-print numerals are usually too small to be tactually identified, you can easily count by five-minute intervals to locate the spot you're after. A tactile, easily-felt line is also present for every passing minute. This heavyweight, long-ring tactile kitchen timer has rubber feet to prevent it from sliding around on the counter. It's a deep forest green in color, and is built to last and last. In fact, the manufacturer has been making timers just like this one for nearly a century, so they really know what they're doing!